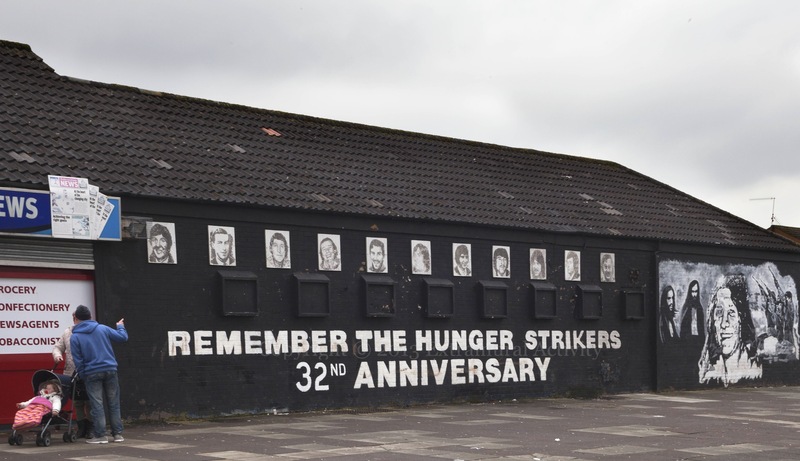 “Remember the Hunger Strikers – 32nd Anniversary”. Twinbrook memorial to the hunger strikers of 1981, updated annually. Bobby Sands, featured on the right, and who lived a stones-throw away from this mural, was the first to die, on May 5th. Seen previously in 2008.